On 11 June 2018, the Minister of Foreign Affairs of Turkmenistan R. Meredov had a meeting with the new director of the country office of the World Health Organization in Turkmenistan, Dr. Paulina Karvovska. During the meeting, the new director was acquainted with the main activities of Turkmenistan in the field of health care. 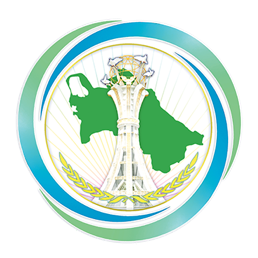 The Turkmen side positively assessed the cooperation of Turkmenistan and WHO on various diseases and noted the great achievements that Turkmenistan achieved in the field of health protection during the years of fruitful cooperation with this authoritative international organization. As Dr. Karvovska noted, Turkmenistan has made significant progress in regulating tobacco consumption and is making efforts to create a smoke-free environment. In addition, it was noted that Turkmenistan had established a solid basis for taking measures to combat non-communicable diseases. The great role of the first European high-level conference on the prevention and control of non-communicable diseases held in Ashgabat in 2013 was noted. In this regard, the parties discussed preparations for the second global conference of the World Health Organization on non-communicable diseases planned for the end of 2018.